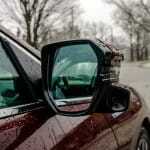 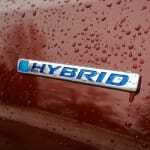 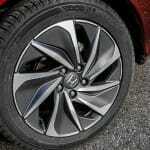 The Honda Insight, along with the Toyota Prius, are two of the pioneers in the hybrid world. 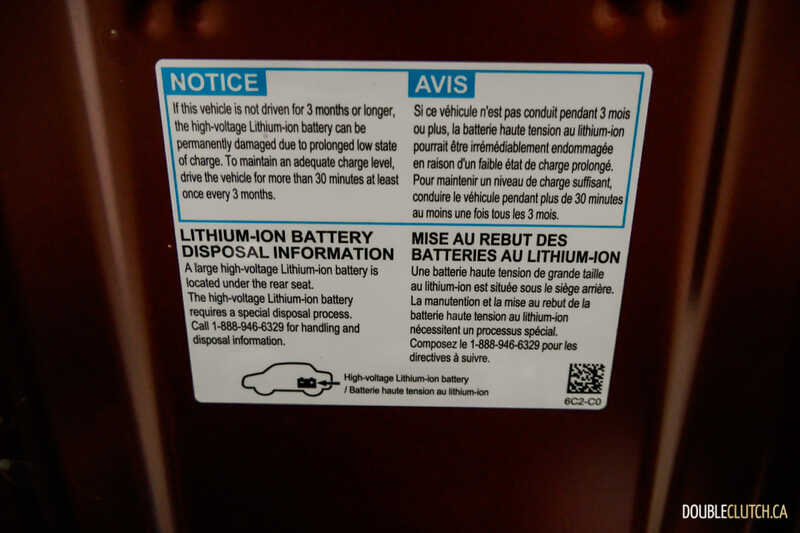 When the first-generation Insight was launched in 1999, it became the first hybrid vehicle to go on sale in North America. 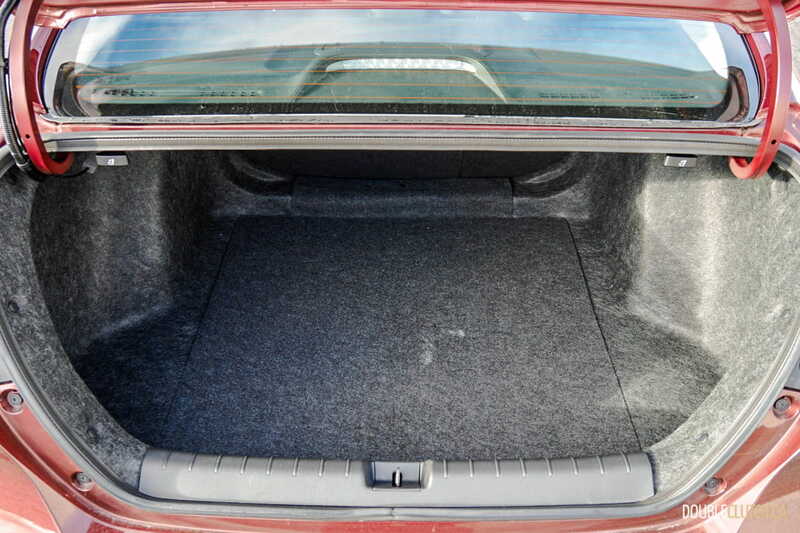 It was a funky three-door hatchback with an aerodynamic design, and even though it was not a best seller, its fuel efficiency put the world on notice, which in turn revolutionized the auto industry. 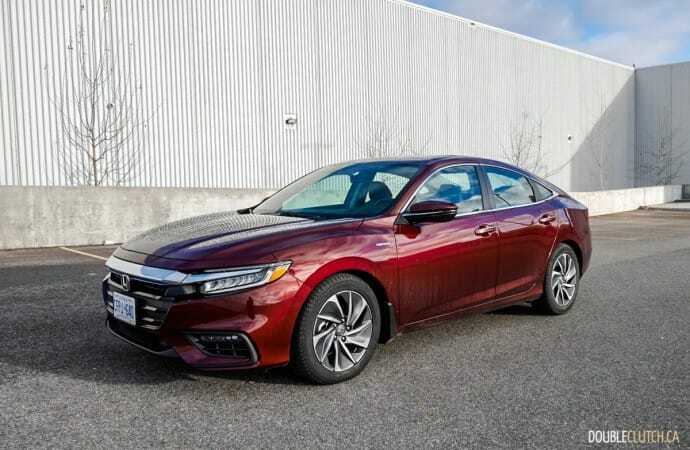 Nearly twenty years later, Honda unveiled the third generation Insight as a 2019 model. 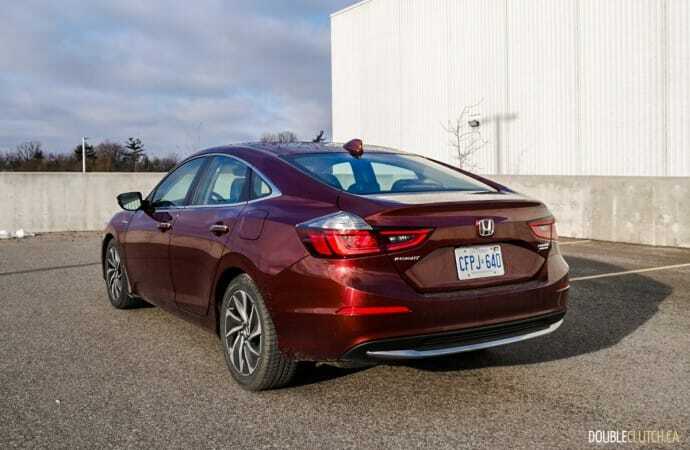 Based on the tenth generation Honda Civic (reviewed here), it shares a similar fastback sedan design as the latest generation Civic and Accord. 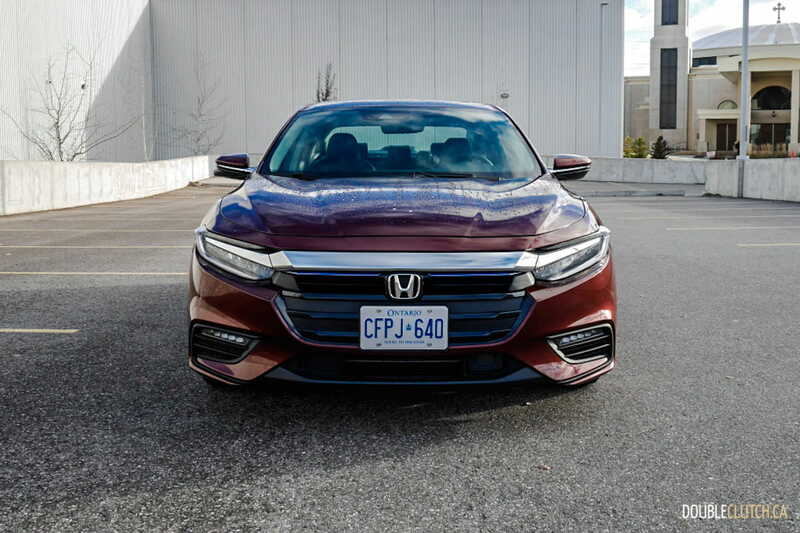 Looking at the Insight from the outside, you can see hints of both the Civic and the Accord and the net result is a very attractive sedan. 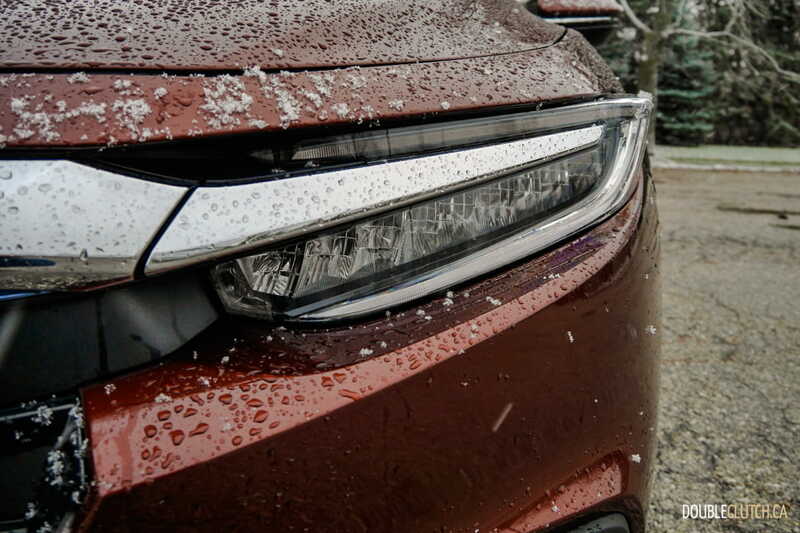 The Insight comes with a chrome front grille, and LED lighting throughout. 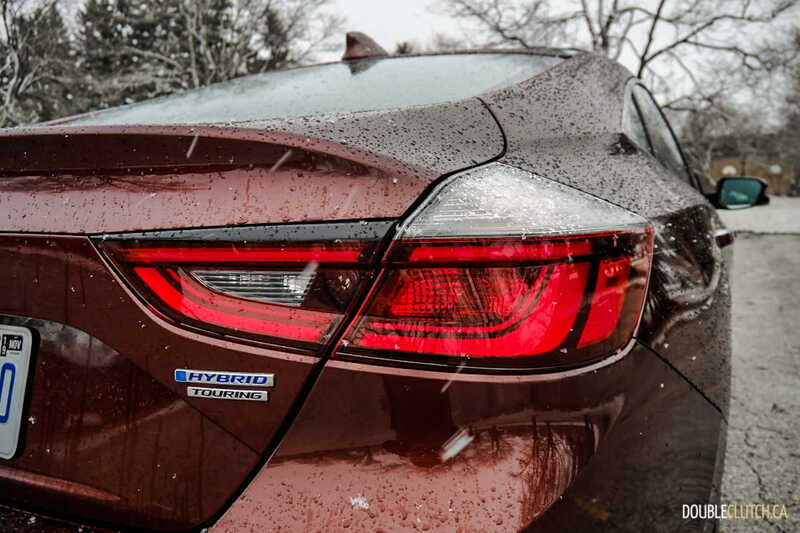 Personally, I prefer the look of the Insight more than either of its brethren, especially when it comes to the rear end. To understand the Insight better, we borrowed a 2019 Honda Insight Touring, painted in Crimson Red Pearl, for a weeklong test. 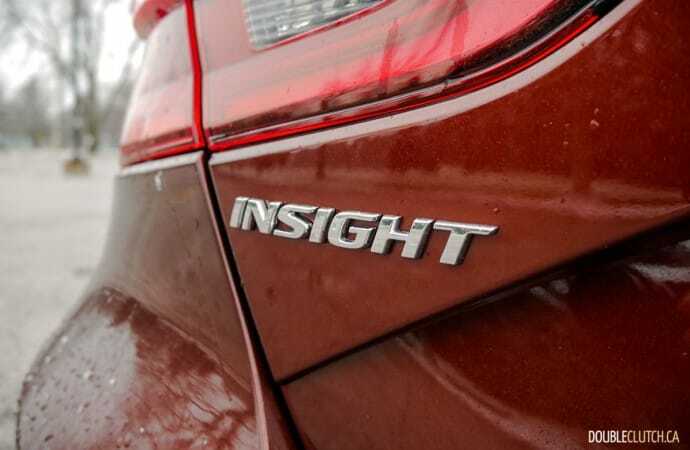 The Insight is powered a 1.5-litre four-cylinder i-VTEC engine that produces 107 horsepower at 6,000RPM and 99 lb-ft. of torque at 5,000RPM. 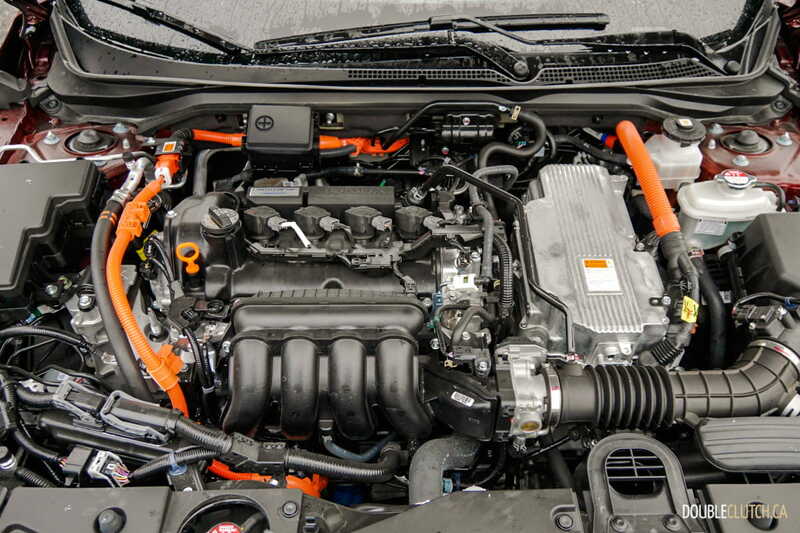 The gas engine is paired with an electric motor that produces 129 horsepower from 4,000 to 8,000RPM, and 197 lb-ft. of torque at 0 to 3,000 RPM. 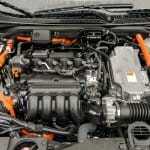 The hybrid powertrain produces a combined 151 horsepower at 6,000 RPM. 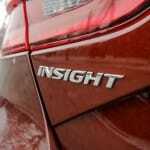 The Insight’s real-world power delivery is buttery smooth. 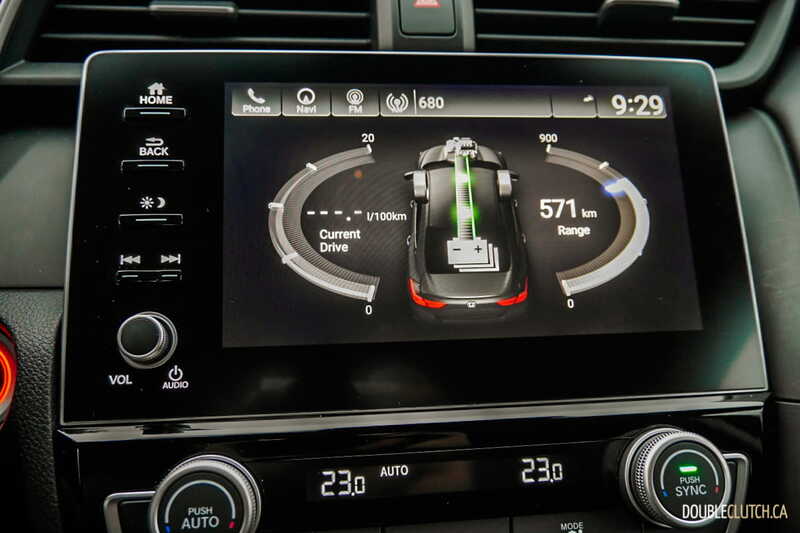 The electric motor provides the Insight with instant acceleration, followed by seamless transition to gasoline power as you keep pushing forward. 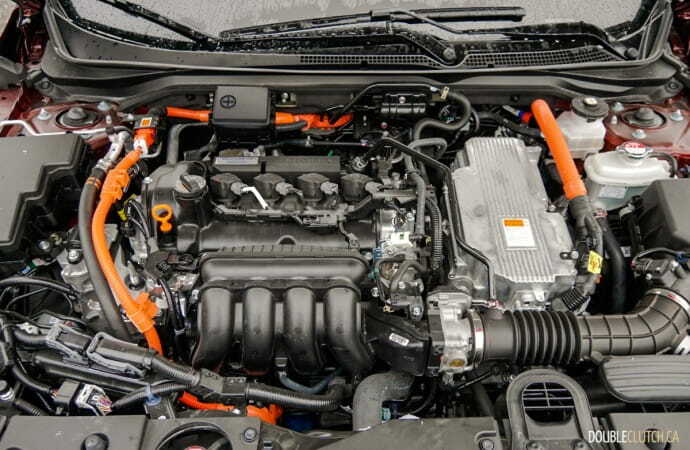 Power is delivered to the front wheels through the use of an Electronic Continuously Variable Transmission (E-CVT). 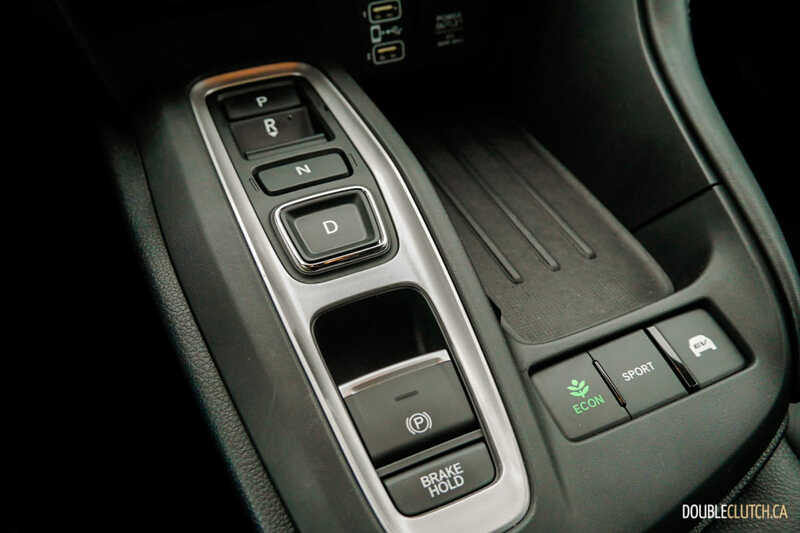 The E-CVT is excellent at mimicking traditional automatic gearboxes and we enjoyed response in the Insight more than most compact sedans in this segment. 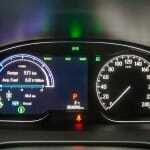 There are three other driving modes available in the Insight other than the default setting; Sport, Econ, and EV. 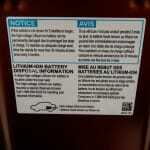 The default setting does a good job determining the best response. 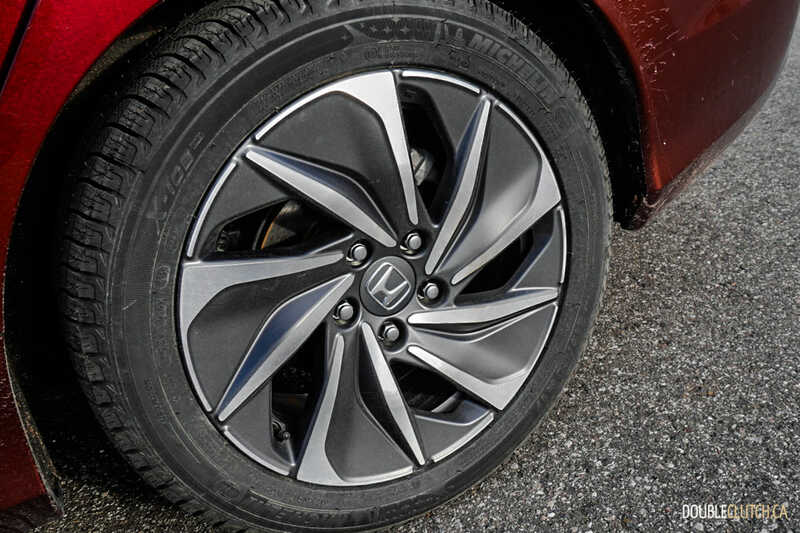 Honda vehicles are traditionally excellent driving cars, and this is no exception for the Civic-based compact hybrid offering. 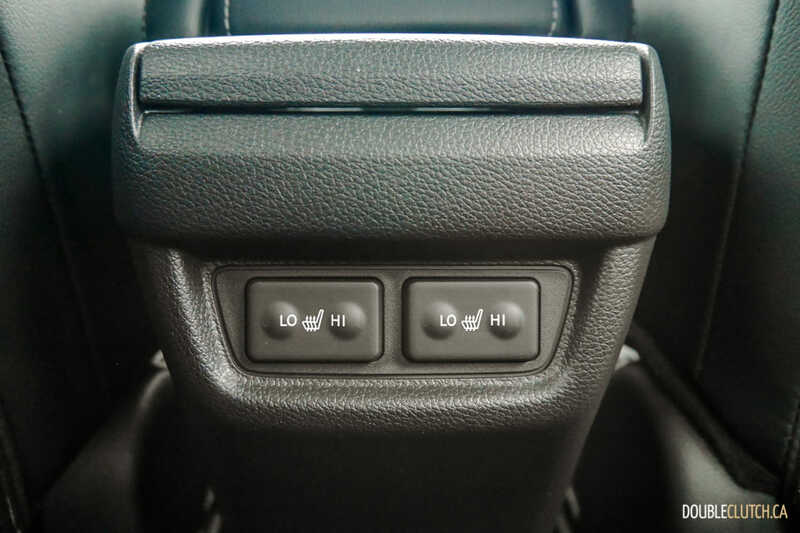 The electric power-assisted rack-and-pinion steering offers direct and responsive feel, and the combination of MacPherson strut front and multi-link independent rear suspension ensures the driver is always in control of the road ahead. 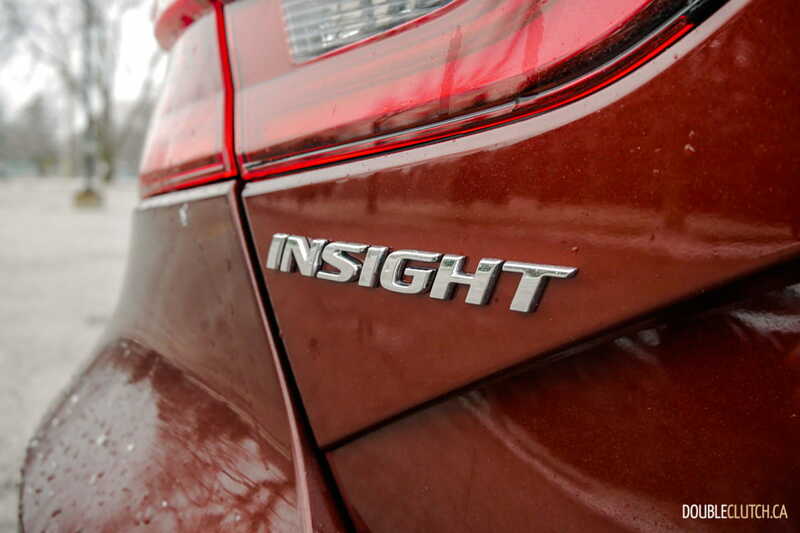 Overall the Insight feels nimble and is a far greater joy to drive than what most would expect from this segment. 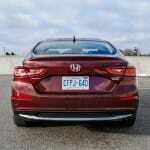 The biggest selling point for the Honda Insight over its platform donor, the Civic sedan, is fuel efficiency. 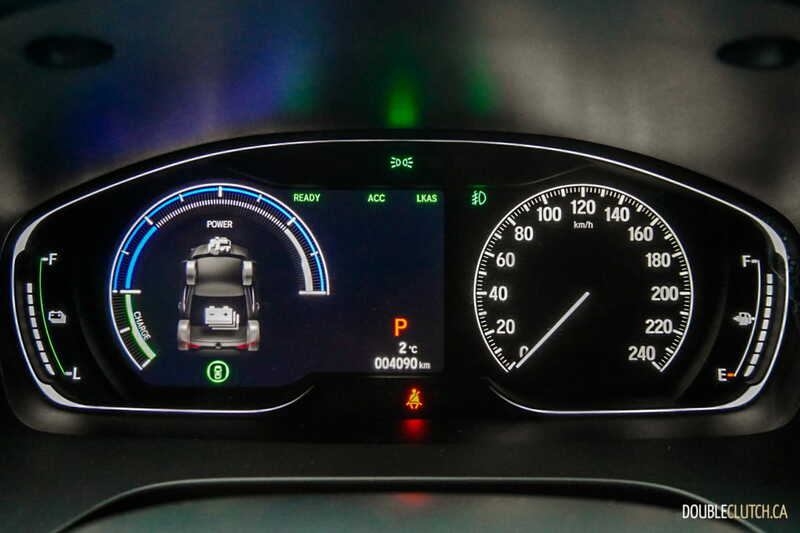 Official fuel economy of is rated at 4.6L/100km City, 5.3L/100km Highway, and 4.9L/100km combined, offering greater efficiency than the ratings for the Civic. 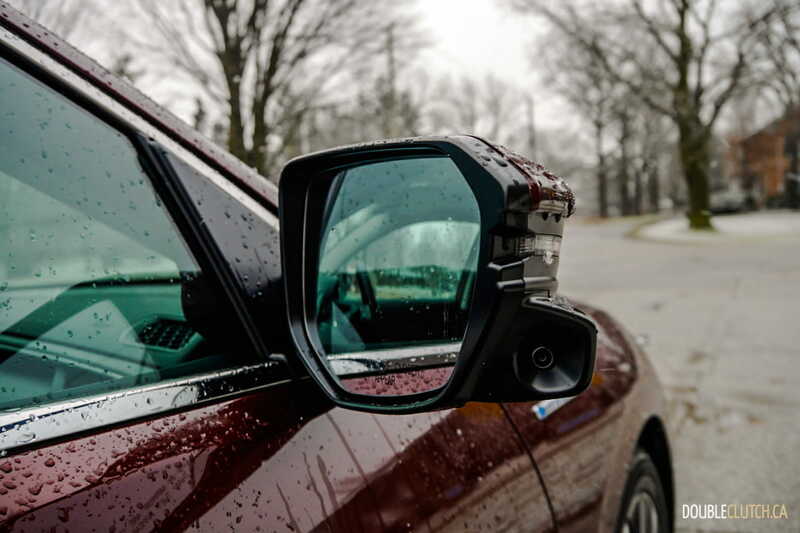 Winter driving has a negative impact on fuel efficiency, with the use of additional energy to heat, and hybrid vehicles are typically more adversely affected during these colder months. 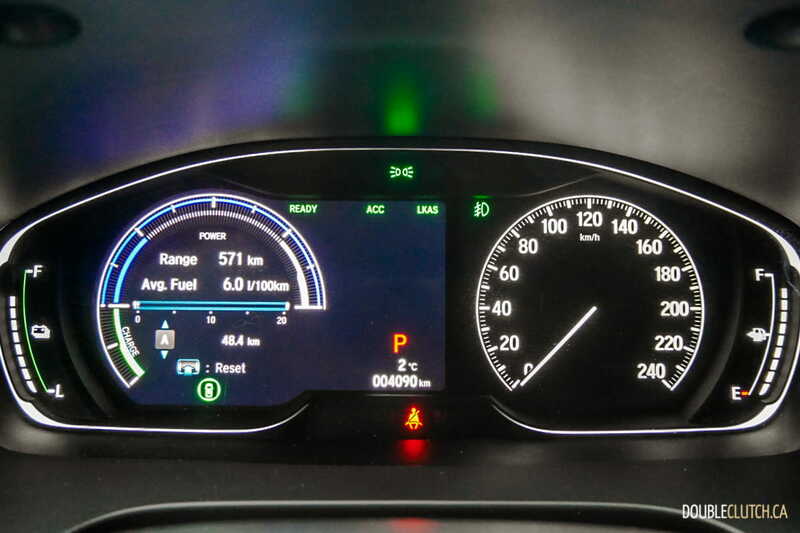 I observed an average of 6.7L/100km for during my week of city commute, a respectable figure considering liberal use of the remote starter and heat. 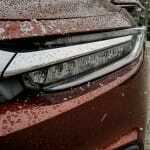 The Honda Insight will accept 40 litres of regular fuel. 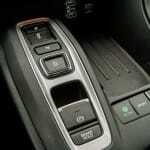 Interior layout of the Honda Insight employs a no-frills design that is pleasing and practical. 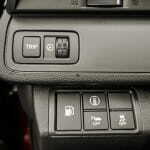 Controls are easily within reach from the driver’s position, and the buttons are clearly labeled and logically placed. 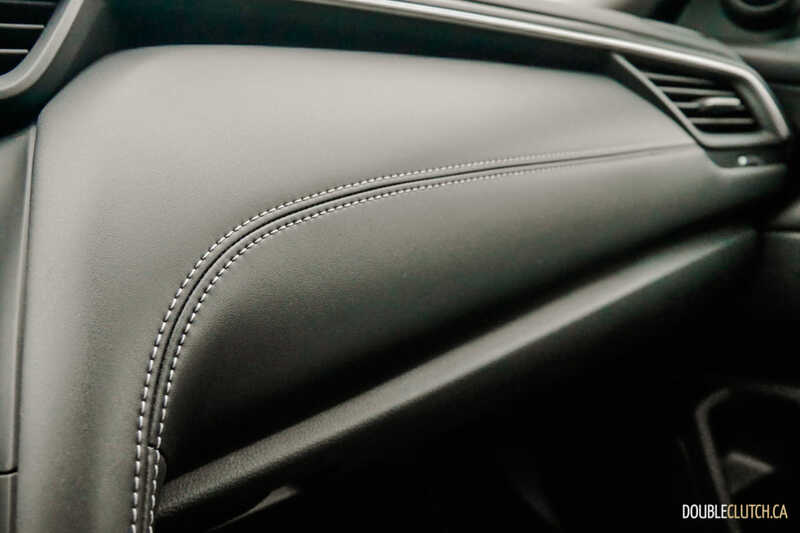 The Insight Touring features leather trim for the steering wheel, and seating surfaces, and it comes equipped with heated seats front and rear. 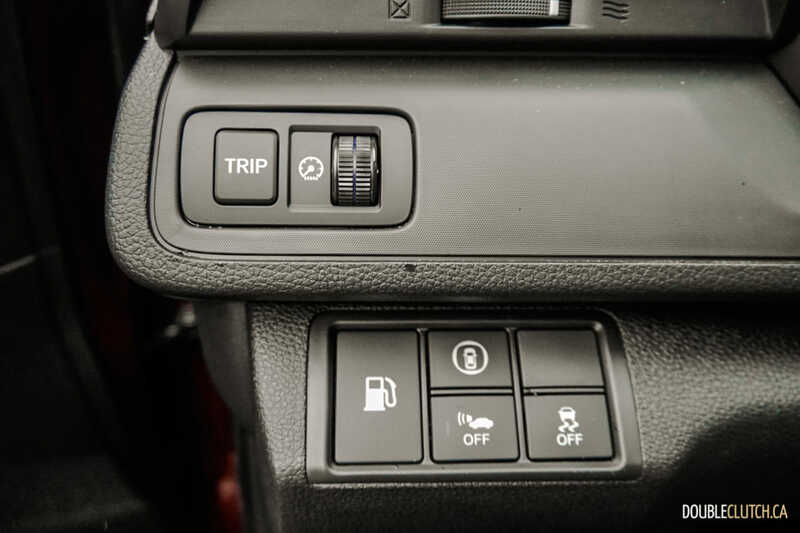 The Touring also comes with a clever centre console design with movable storage compartments to accommodate daily carry items of various sizes. 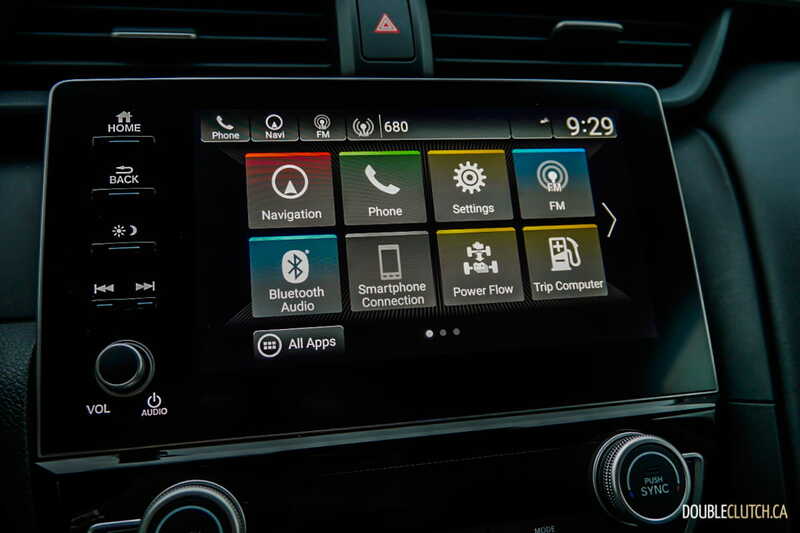 The Honda Insight’s infotainment system is controlled using the eight-inch touchscreen Display Audio System. 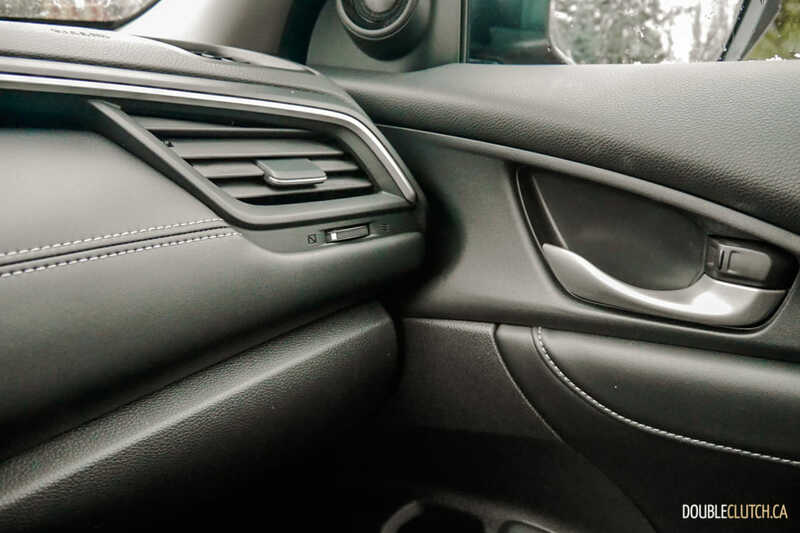 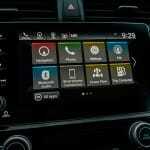 The system is easy to use with a large tiled layout, allowing for easy operation when driving and Apple CarPlay and Android Auto connectivity is supported. 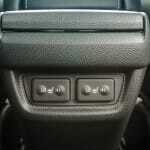 A volume knob is a welcomed addition over the Civic, too. 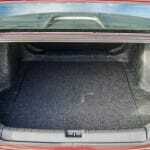 The Touring trim comes standard with a 452-watt premium audio system with ten speakers and subwoofer. 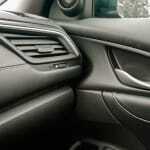 Sound quality is excellent and much better than one would expect from a car in this segment. 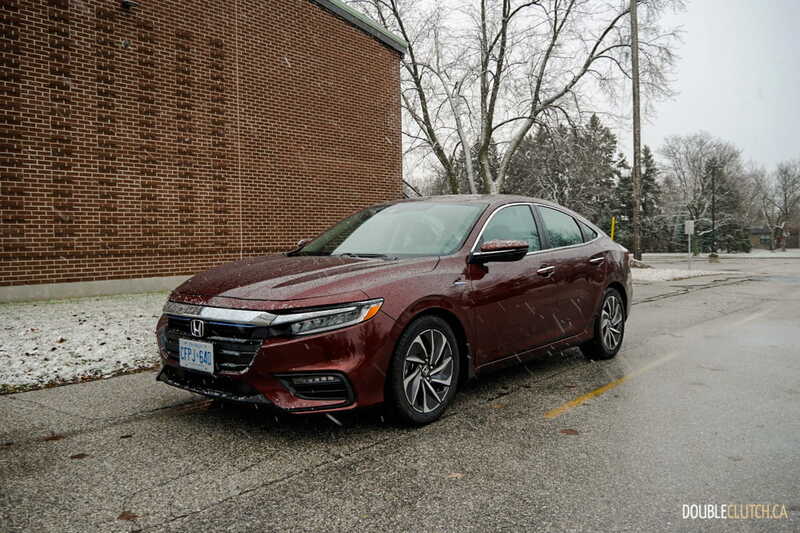 A real pleasant surprise of the Insight was seeing the amount of safety technology that comes standard, even in the base trim level. 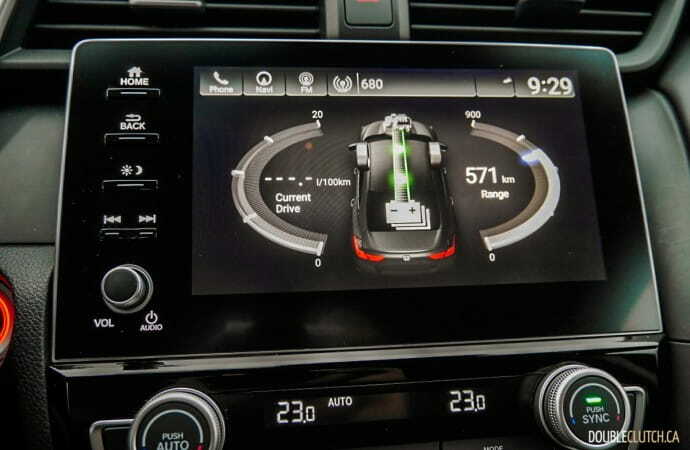 It comes with the full Honda Sensing safety suite including Collision Mitigation Braking, Forward Collision Warning, Road Departure Mitigation, Traffic Sign recognition, Adaptive Cruise Control, Honda LaneWatch blind spot display, and Lane Keep Assist and Departure warning systems. While it would have been great to see a blind spot warning system, the list of Honda Sensing tech included with the Insight’s sub-$28,000 price tag is still very impressive. 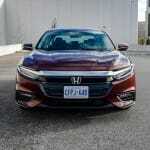 As mentioned above, the Honda Insight starts at $27,990. 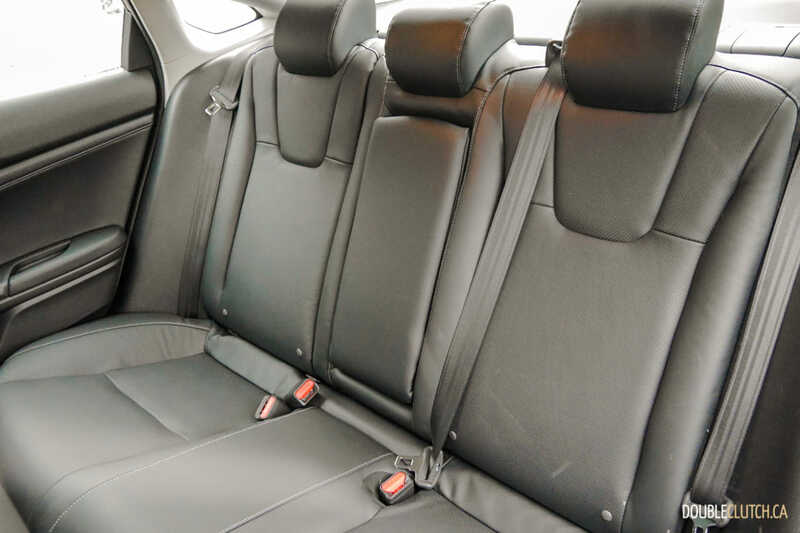 The as-tested Touring trim is $31,590 and adds a moonroof, rain-sensing windshield wipers, navigation, power adjusted front seats, leather seating surfaces, the premium stereo with SiriusXM radio, and more. 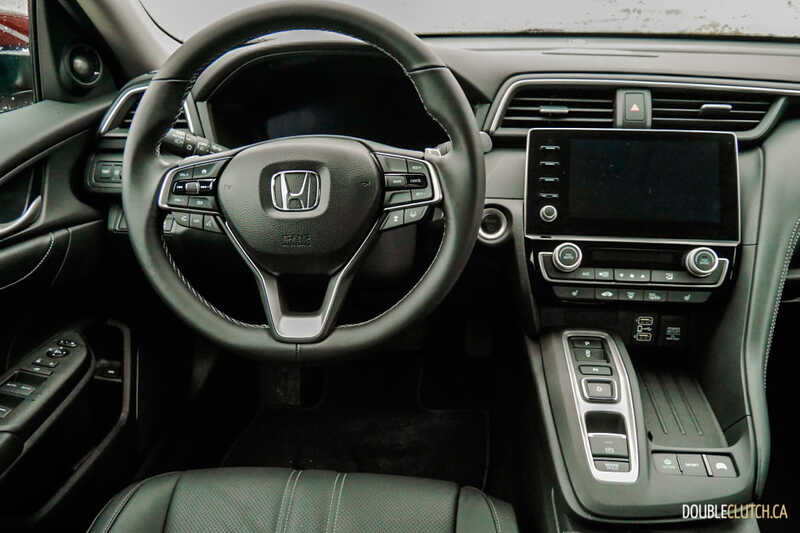 The good thing as always about buying a Honda is that they offer almost no options, as is the case with my tester, making for a simple buying experience at the dealership. 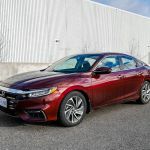 The Honda Insight competes head to head against the Toyota Prius (reviewed here), both in terms of its price, size, and heritage. 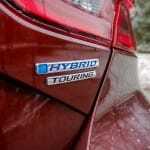 The Toyota Prius offers a funkier look and a bit more practicality with its hatchback design, for a base MSRP of $27,650. 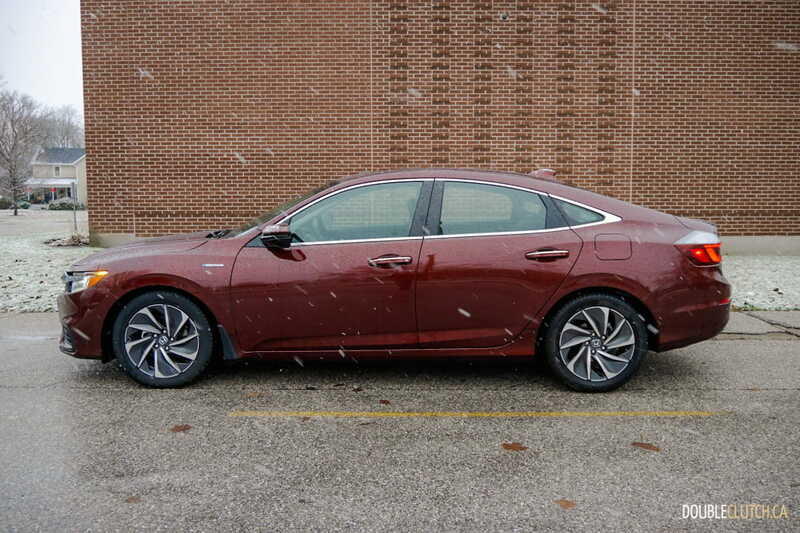 Both are excellent daily commuters that will not break your wallet at the dealership and the gas station, and I suspect many shoppers will make their decision based on the appearance alone. 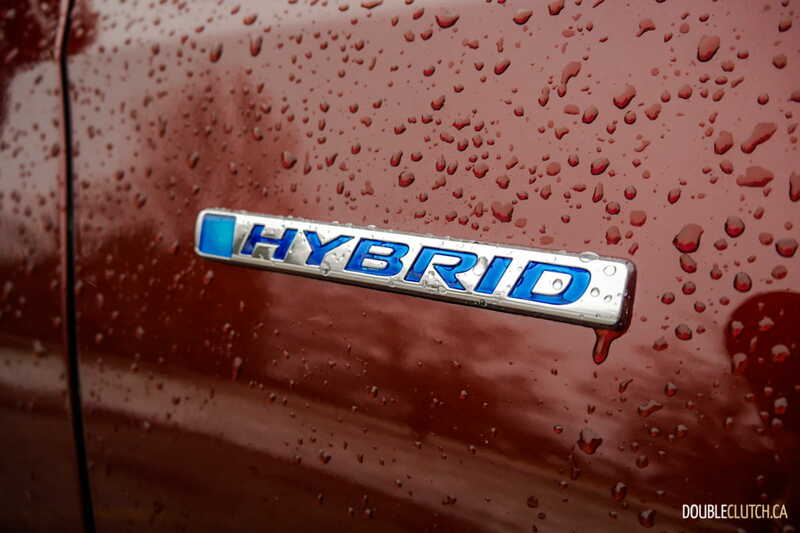 It is great to see that the Insight, and the overall hybrid car segment, is becoming more mainstream and buyers are no longer being asked for a hefty premium to save at the gas pump. The 2019 Honda Insight Touring is a testament of this trend. 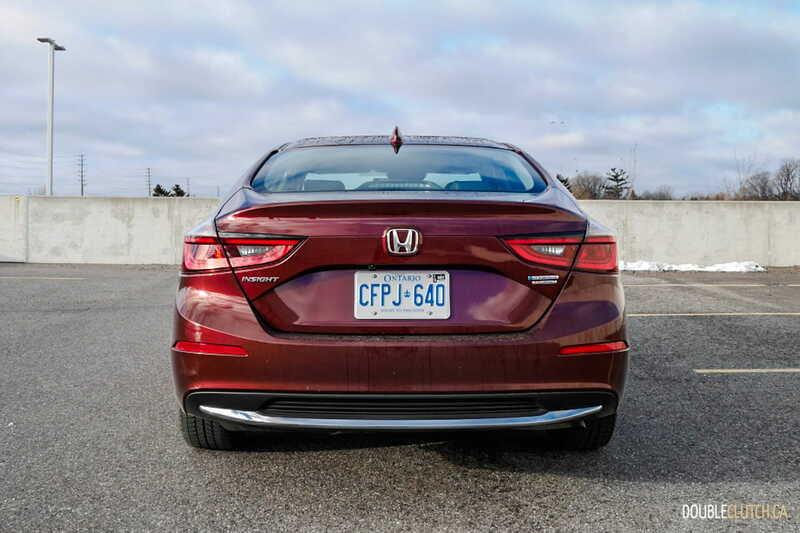 It offers excellent driving dynamics, an expansive list of standard features, and an affordable price tag in an attractive package. 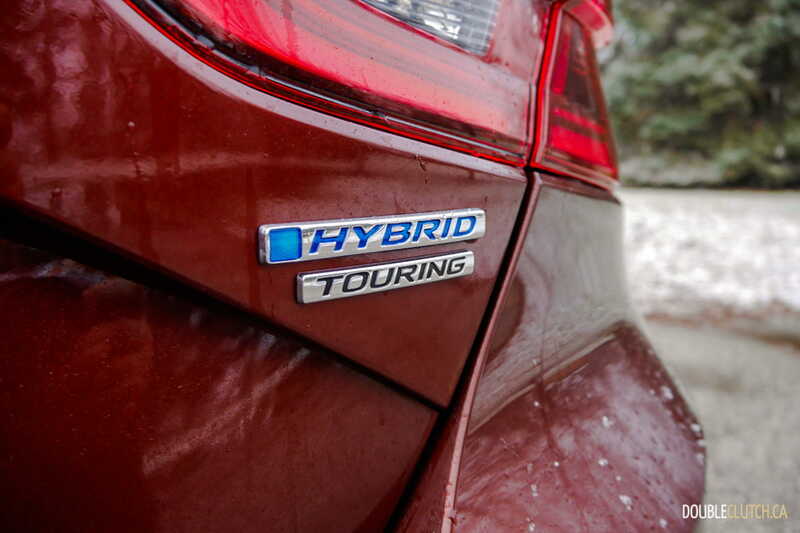 Personally I think it has set a new benchmark for the compact hybrid segment, paving a great path for other automakers to follow.